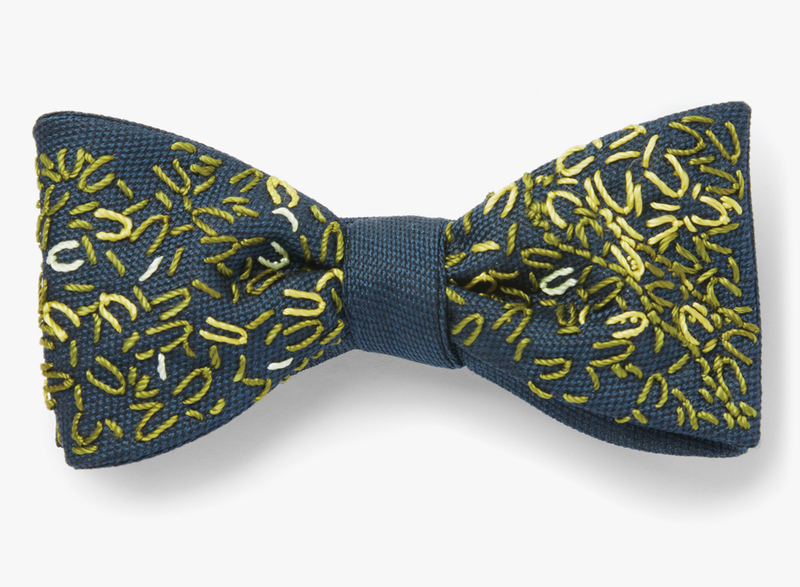 The magnified view of marine plankton in polarized light is hand beaded in multiple colorways on navy silk pique. Our bowties are constructed for the ‘purist’; this means that they are hand tied rather than ‘tacked’. Your bowtie will be packaged pre-tied, unless you specify in your order that you would prefer to receive it untied.